Rx to Get Well Fruit Gift Basket. 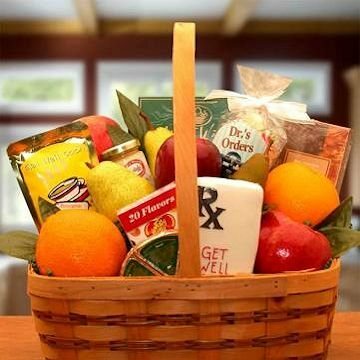 Send a friend who's on the mend this Get Well Wishes Fruit Gift Basket. They'll appreciate the basket filled with , fresh oranges, crisp apples, delectable chocolates and other tasty treats. Equally effective when feeding a fever.